It should be clear by now to even the most disinterested global spectator to the protracted carnage of the Syrian Civil War that the governments of the Western world led by the United States of America have instigated and sustained an insurrection against a sovereign country through the use of Islamist proxies. It should also be clear to those who are adequately informed by a suitable range of media sources, that many of the terror attacks which have occurred in both American and Western European locations have been carried out by individuals who have been under the radar of Western security agencies. Further, the Syrian and other conflicts instigated by the West have created the basis for influxes of refugees as well as new avenues of transit for economic migrants bound for Western Europe. The incessant bombing of Muslim lands for a continuous period of over a decade and a half continues to provide the basis for radicalising segments of the Muslim world. America’s role in the Syrian conflict is risking a war with Russia, a nuclear armed power, which at the invitation of the legitimate government of Syria, is part of a coalition involving both Iran and Hezbollah that is attempting to suppress the Islamist insurgents. Yet, among the population of Western countries, there remains a perplexing mixture of ignorance and indifference about the policy of their governments calculated use of “Islamic militants” both at home and abroad. Unless a strong consensus arises in the form of dedicated mass protest movements by informed members of their populations and pressure is brought by coalitions of principled and non-partisan political actors, the West will continue to embroil itself in an enduring series of conflicts in the Muslim world. The moral, financial and security ramifications are clear: the continuing cycle of human destruction, the ever increasing risk of terror atrocities, the burdens imposed by military expenditure as well as the threats to social cohesion caused by migration from affected countries, cumulatively represent a self-inflicted conundrum from which it will become difficult to be extricated unless there is a radical overhaul of Western foreign policy. Much of the public debate in the United States about the rise of groups such as the so-called Islamic State often takes a partisan slant. For those to the political Right, former US President Barack Obama is the author of the Syrian crisis, while others prefer granting US Secretary of State Hillary Clinton the dubious accolade of being the ‘Godmother of ISIS’. On the other hand, those on the political Left blame George W. Bush for the Syrian conflict on the basis that the illegal invasion of Iraq in 2003 and the subsequent sectarian-orientated turmoil led to the development of a range of extremist Sunni Islamist militias. Many of them were linked to the al Qaeda franchise and metastasized most prominently into the Jabhat al Nusra Front and IS. Another important part of the public discourse, inevitably heightened in the aftermath of the occurrence of each terror atrocity committed in North America or in Western Europe, relates to the issue of whether Islam can be considered to be an ethically sound religion. The consensus among many in the political classes and the media is to insist that terror attacks are perpetrated by a tiny minority of the earth’s reputed 1.6 billion Muslims, while a significantly vocal part of the public contend that the history of Islamic expansion as well as the philosophy of violence expressed by prominent Islamist groups mark it out as anything but a ‘religion of peace’. The debate on Islam is frequently concerned with whether Muslims are assimilable in Western society with the microscope firmly focused on the amount of Muslim refugees seeking or gaining entrance to North American and Western European destinations. While each aspect of these debates are important in their own right, the compartmentalized nature of the discourse arguably serves as a useful device which distracts the public from grasping the broader picture. For one, attempting to fix the blame for the rise of certain notorious Islamist militias on particular political figures for partisan reasons only serves to obscure the very lengthy history of Western support for militant Islamic groups. The often bitter exchanges after terror attacks are dominated by issues related to whether Muslim communities resident in the West are sufficiently loyal to their countries of residence. Getting lost in the thicket of argument and counter-argument is a disturbingly consistent feature of many perpetrators having been monitored by relevant state intelligence agencies. In a similar vein, the worries about Western-bound Muslim refugees tend to disconnect from Western culpability in what may be termed coercive engineered migration. Thus the overall effect of these partisan accusations and disputes present a useful distraction from scrutinising the prevailing overarching policy as well as enabling politicians and security officials to escape accountability for creating the conditions which have brought Islamic fundamentalist terror to the streets of their towns and cities. Understanding history is important. The role of the United States and its allies in facilitating the weaponising of Islam as a means of obtaining dubious geo-political advantage is a longstanding one. When Wesley Clark, a retired US four-star general admitted that ISIS had been created “with funding from our friends and allies to fight Hezbollah to the death”, on the basis that only fanatics and not idealist-minded recruits could be sufficiently motivated to do so, he was harking to a sentiment long-held by the West in its dealings with the Middle East. The use of Islamic soldiers was one embraced by Heinrich Himmler, the leader of the SS, who in a January 1944 speech referred to Islam as a “practical and attractive religion for soldiers”. Its promise of paradise and beautiful women to the martyrs of battle was, Himmler felt, “the kind of language a soldier understands”. Three decades earlier, the use of “medieval thinking” and “superstitious” Mahometans as guerrilla proxies was an idea latched onto by Kaiser Wilhelm II during the First World War as part of the German strategy of revolutionspolitik. This was a policy aimed at encouraging subversion and revolution in the vulnerable regions within the empires against which Germany was waging Welt Kreig. It was applied by allowing Vladimir Lenin to travel through German territory on a sealed train so that he could reach Russia where he could foment chaos through a Bolshevik uprising and give Germany an advantage on its eastern front. The Germans also scored their prisoner of war camps for Ukrainian prisoners whom they trained and indoctrinated to form an anti-Tsarist ukrainian nationalist army. The Germans unsuccessfully attempted to apply it by inciting rebellion among the millions of Muslims living under British rule and in the areas bordering British territories. Pamphlets calling for Muslims to form cells which would kill combatant and non-combatant Christian Europeans in the name of jihad were produced. It was a theme which was fictionalised in the John Buchan novel Greenmantle which was published in 1916. In the book, the character Sir Walter Bullivant, claims that “Islam is a fighting creed, and the mullah still stands in the pulpit with the Koran in one hand and a drawn sword in the other”. But it did not end in fiction and would not be the exclusive preserve of Germany geo-strategy. 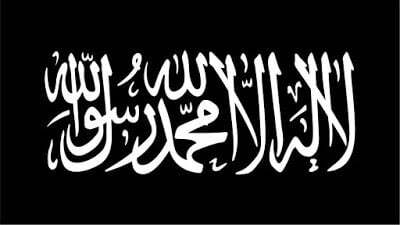 British policy-makers saw jihad as means through which Britain could advance its interests against its adversaries. It would use the Ikhwan, the formidable fighting force of the second Saudi emirate to weaken the Ottoman hold on the Arabian Peninsula. The fact that Ibn Saud’s followers were, according to Winston Churchill, “bloodthirsty” and “intolerant” underscored the Ikhwan’s fitness for purpose. The intelligence services of Britain would go on to establish an enduring relationship with the Muslim Brotherhood soon after it was created in the late 1920s. American support for militant Islamism goes back at least to the 1950s when the administration of President Dwight D. Eisenhower used the Muslim Brotherhood as a proxy force in the United States’ ideological war against Soviet communism. The Egyptian-originated organisation was utilised in an effort to undermine the secular government of President Gamal Abdel Nasser which had gravitated to the Soviet Union to acquire military arms and technical expertise for development projects. This ploy of using Islamic combatants lay at the heart of ‘Operation Cyclone’. Among the longest and most expensive of covert operations undertaken by the Central Intelligence Agency, it involved funding, arming and training Afghan Mujahideen as a means of weakening the Soviet military after the USSR’s invasion of Afghanistan in 1979. It was the brainchild of Zbigniew Brzezinski, the US National Security Advisor to the administration of President Jimmy Carter, but continued by the succeeding administration of President Ronald Reagan. Reagan extended an invitation to key members of the Mujahideen to visit the Oval Office of the White House where they were given a cordial reception at which they were photographed with the president. While on a state visit to Pakistan in October of 1981, the British Prime Minister, Margaret Thatcher, made her way to the Pakistani-Afghan border where she told a gathered group of Mujahideen leaders that “the hearts of the free world are with you”. A few years after the September 11 atrocity, the Bush administration formulated a re-direction in a Middle Eastern policy geared towards aiding Sunni militants espousing the same Pan-Islamic ideology as al Qaeda as a means of undermining the secular government of Bashar al Assad of Syria. 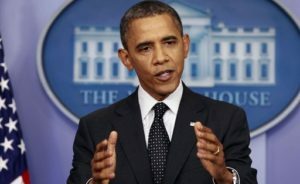 The Obama administration followed this policy first in its support for the Nato action that led to the overthrow of the secular government of Colonel Muammar Gaddafi and secondly, in the decision to utilise jihadists in the attempt to overthrow the Assad government under the cover of the so-called Arab Spring. The latter enterprise was undertaken over the objections of several senior military officers at the Pentagon including the head of the Defence Intelligence Agency. It is important to note that the French government, then led by President Nicolas Sarkozy, took the lead in instigating the Libyan uprising and that the Cameron government of Britain provided special forces soldiers to train and direct operations undertaken by the Libyan Islamic Fighting Group, and al Qaeda-affiliated organisation. This policy is still intact under the Trump administration. After all, any attack against the Syrian military such as was the case with the launch of Tomahawk cruise missiles after a dubious allegation of a chemical attack on civilians and the recent shooting down of a Syrian Air Force jet by an American warplane, is intended to weaken it in the fight against Islamist insurgents. These actions by the United States, including the episode of the alleged mistaken killing of over 60 soldiers of the Syrian Arab Army while it was attempting to dislodge al Nusra fighters from the city of Aleppo all tend to confirm the thesis of the United States functioning as the unofficial air force of the Islamist insurgents. It is a policy that will be sustained given the continuing priority accorded to the United States’ relationship with Saudi Arabia. Donald Trump’s decision to make his first foreign visit as president to the desert kingdom, the home of the Wahhabi doctrine of Islam which serves as the inspiration for Islamist death squads in Syria and Islamic terrorists striking at innocent people in the West, is rather telling. Trump’s castigation of the Shia Islamic Republic of Iran as the “world’s biggest sponsor of terrorism” reeks of deceit and hypocrisy. It is contradicted by a 2013 report by the European Parliament which identified Sunni Wahhabism as the main source of global terrorism and a leaked admission by Hillary Clinton that the Saudis “have exported more extreme ideology than any other place on earth”. Indeed, none of the bombs, bullets or blades used in any of the terror attacks carried out in the West since 9/11 have been done in the name of Iran or Hezbollah. They have been carried out by Sunni extremists influenced by Wahhabist teachings. The United States has of course acted as the overseer of Saudi funding for Syrian jihadists even though Iran, together with the Syrian Arab Army and the Lebanese militia Hezbollah have soldiers dying every day in the fight against extremists of the sort US Senator John McCain has cosied up to during illegally arranged visits to Syrian territory. McCain, who serves as the Chair of the Senate’s Armed Services Committee, was photographed handing Abdel Hakim Belhadj, the leader of the now defunct Libyan Islamic Fighting Group, with an award in recognition for his part in the overthrow of the Gaddafi government. Echoing Margaret Thatcher’s words of support for the Mujahideen, McCain heaped praise on Belhadj and his group for being fighters in the cause of freedom. 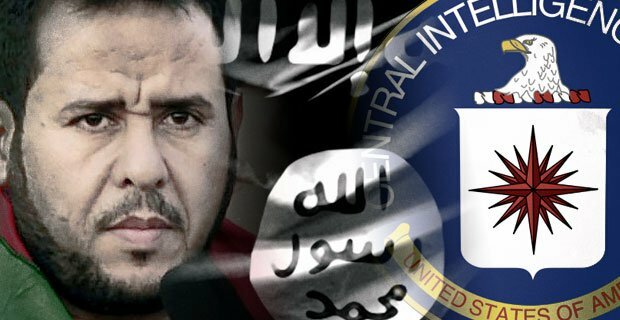 And just as several of the groups headed by the warlords Thatcher addressed would form the basis of al Qaeda and the Taliban, so it has been the case that Belhadj became a leading commander of ISIS in Libya. The Saudis are not alone among America’s Middle Eastern allies in having enabled the Syrian insurrection. Other Gulf Cooperation Council states, most notably Qatar, have played a part as indeed has Turkey – all confirmed by the former US Vice President Joseph Biden. The Syrian rebels have also received support from the state of Israel through cash disbursements, arms supplies and medical assistance. The motivation for the West’s seeking to destroy secular governments such as that of Syria further than the banal rationale of overthrowing a ‘brutal dictator’ skirts over the issue of wanting to build a pipeline from the Gulf through to Turkey via Syria. The fundamental objective of the West in ensuring Israel’s continued regional hegemony is rarely mentioned even though this has been attested to by Roland Dumas, a former French foreign minister, and a leaked email of Hillary Clinton’s which revealed her thinking to be that the overthrow of Assad would help the Israelis in so far as combating the perceived threat posed by Iran. The debates which center on Muslim extremists growing into a security threat fail to maintain a decent level of scrutiny on the performance of Western intelligence services in the preventing such threats. It should be of great concern to any American citizen that a report published three years ago by Human Rights Watch and Columbia University claimed that all but four of the domestic terrorist incidents occurring in the United States in the decade after the 9/11 attacks were carried out during sting operations conducted by the Federal Bureau of Investigation. In other words, most of the attacks involved people who were informers or double agents working for the FBI. The report did not cover the dubious circumstances involving a paid informant infiltrating the group which built the bomb used for the first attack on the World Trade Center in 1993, and it excluded the case of Tamerlan Tsarmaev who had not only been on a watchlist and surveilled by the FBI, but who many suspect to have been an informer. A similar pattern can be seen in Britain where the security services under the watch of Theresa May as both home secretary and prime minister allowed Islamists whose names were on terror watchlists, under surveillance and in some circumstances under control orders (a form of house arrest under UK anti-terror laws), to travel around the European Union and the Middle East with impunity so long as they promised to overthrow secular Arab leaders such as Gaddafi in Libya and Assad in Syria. This is mirrored in France where, for instance, Mohamed Merah, the man who allegedly carried out terror shootings in Toulouse and Montauban, was claimed by the former head of France’s now defunct Direction de la Surveillance du Territoire (DST) to have been a double agent and informer for Direction Centrale du Renseignement Interieur (DCRI), the state intelligence organisation tasked with counter-terrorism and counter-espionage. It is also worth noting that the terror outrages in London in July of 2005 and in Madrid in March of 2004 involved suspected radicals belonging to al Qaeda-inspired cells who had previously been under state surveillance. While the official argument of strained resources is often brought up as a blanket excuse, the recurrence of these scenarios point to a criminally negligent pattern of handling the surveillance of potential terrorists as well as the reckless managing of informers who ‘go rogue’. And given what is known of certain ‘black operations’ conducted in Western Europe during the Cold War era which had the purpose of manipulating public feeling through acts of terror, a more sinister interpretation cannot be ruled out. The issues of state facilitation of islamist militias as well as the mishandling of terror suspects ought to raise the concerns of politicians and citizens sufficiently enough to form the basis of hearings by state legislative bodies and pave the way for the setting up of public inquiries. Instead the discourse, with the aid of the mainstream media, is guided towards whether the aftermath of each terror attack should result in the incremental loss of the hard won rights and freedoms of the citizenry of the West. In Britain, the recent spate of attacks have raised the ante to the extent that there have been calls to introduce internment as well as to censor the internet. France is effectively in a permanent state of emergency. All of this despite the fact that despite the blood and pain inflicted by terror, the statistics continue to show that the average person has a far higher chance of being electrocuted by a bolt of lightning or breaking their neck when getting out of bed. It is not possible to put terrorism in your pocket and use it as a card because it is like a scorpion which won’t hesitate to sting you at the first opportunity. The state is compromised but the continued ignorance of many and the seemingly wilful insouciance of the others mean that the people will stand compromised in the judgement of history if they refrain from pressuring their political leaders to change the state of affairs. Adeyinka Makinde is a London-based writer. He can be followed on Twitter @AdeyinkaMakinde.